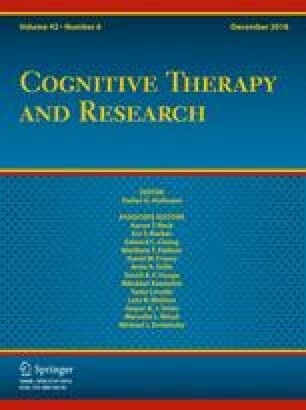 This study is the first to examine integrated cognitive behavioral therapy (ICBT) in a sample of military veterans with co-occurring posttraumatic stress disorder (PTSD) and substance use disorders (SUD). Generalized linear mixed models were used to examine primary outcomes from a small, randomized clinical trial comparing ICBT plus treatment as usual (TAU) to TAU only in a sample (N = 44) of U.S. veterans who served in Iraq and/or Afghanistan. A significant reduction in PTSD and SUD symptoms over time was detected in both conditions. One significant time-by-condition interaction effect for re-experiencing symptoms was observed, with ICBT showing greater reductions from baseline to post-treatment. Overall, the efficacy of ICBT in this veteran sample was not as robust as outcomes with non-veteran patients. Challenges to engagement and retention in treatment and further intervention adaptations for veterans are discussed. The views expressed in this article are those of the authors and do not necessarily reflect the views of the Department of Veterans Affairs or the United States government. This study was funded by the National Institute on Drug Abuse (NIDA; Grant R01DA030102). Christy Capone, Candice Presseau, Elizabeth Saunders, Erica Eaton, Jessica Hamblen and Mark McGovern declare that they have no conflicts of interest.